I’ve always understood the concept of Google glass, but until I put them on this weekend, I couldn’t fathom paying $1500 for something that will be obsolete next year. I finally understand Glass, and I’m going to do my best to help you do the same. What’s it like wearing Google Glass? Unlike a computer screen, or a smartphone screen, or any screen really, glass is always there. It’s omnipresent. It only intrudes slightly, but it never moves in your vision. The glass prism display doesn’t even look like a screen, but rather like a floating holographic square in mid air. Needless to say, it’s really cool. 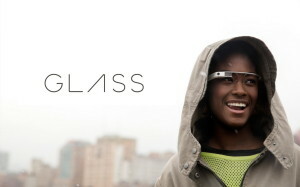 What are the benefits of using Google Glass over a smartphone? I’ve always thought of my smartphone as the posterchild of convenience, but compared to glass, it’s incredibly inconvenient. Cell phones block your vision. Glass does not. Cell phones occupy your hands. Glass does not. Glass is always there, but it doesn’t get in the way (unless you’re driving). Navigation is very convenient, because instead of having to stare down at your phone, the directions are right in your face. The camera is also convenient, because it’s always there. Instead of having to pull your phone out of your pocket, unlock it, open up the camera, and align it, you just look at your target, tap your glass, and prompt it “Ok Glass. Take a picture”. The camera is acceptably fast, and the image is displayed for review right in front of your face. What are the drawbacks of Glass? It’s not the most stylish device in the world. It’s unusual at this point as well, so you’re bound to draw stares wherever you go. I’m a little wary as to what happens if it rains. Storing glass carefully is just another concern I don’t want to have to deal with in my day. Hopefully the mass-market glass will be durable and waterproof. The first time you put on glass, you’ll understand the value of it. It’s one of those things that you have to try to understand. At $1500, it depends on your budget, but at the lower price point that it will be sold at when it goes public (I’m hearing $500-800), it’s absolutely worth the money. It certainly saves a lot of time, but I think just the experience itself of a holographic-like screen is valuable in itself.